Autism: 1 in 36 (source: CDC). And that’s probably a conservative estimate based on kids born 8 years ago. Many of these kids have severe autism and struggle with gut disorders, epilepsy, speech challenges, self-injury, allergies and food sensitivities, eczema, learning disabilities and severe developmental delays to name a few. Type 2 diabetes, once a disease almost strictly for adults, has been called by the journal Diabetes Care an “emerging epidemic.” About “20% of all newly diagnosed cases are among youth,” up from around 5% in 1994. Our kids are troubled and need help! Where is all this disease in our children coming from? The answer is simple: our society is overrun with toxins. From GMOs to mercury to artificial dyes to BPA, we are learning everyday that the convenient, chemical world around us may not be as safe as we once thought. Kidstoday are exposed to a landscape of inescapable toxic burden. When this burden is excessive, it can damage everything from a child’s gut to their brains. More and more experts are coming to the conclusion these toxic insults can lead to conditions like autism, ADHD, and allergies, but a comprehensive study looking at healing our children by reducing their toxic burden had yet to be done. The struggle is real when you’re raising a child with autism – or ADHD or mood disorders or other chronic conditions. Well, what if there were a resource where you could get real help and training in how to help your thrive? What if you could make your autistic child better and truly heal them? 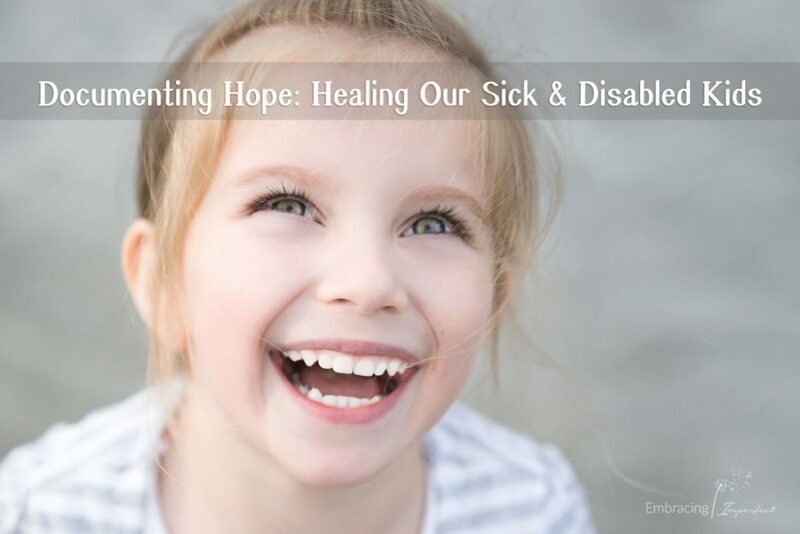 What if hope wasn’t just a word that implied wishful thinking but a solution that you could bring to fruition to help your child thrive? Documenting Hope is that answer. This collaborative program will start with 14 children whose progress and treatment will be tracked and documented by a team of experts attempting to reverse their chronic conditions. But it doesn’t end there. 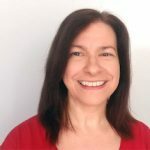 I interviewed Beth, who told me that one of the ultimate goals of this program is not just to carefully do the study and help the children who are selected, but to eventually provide resources so that parents can learn what to do and help their own children. Finally! 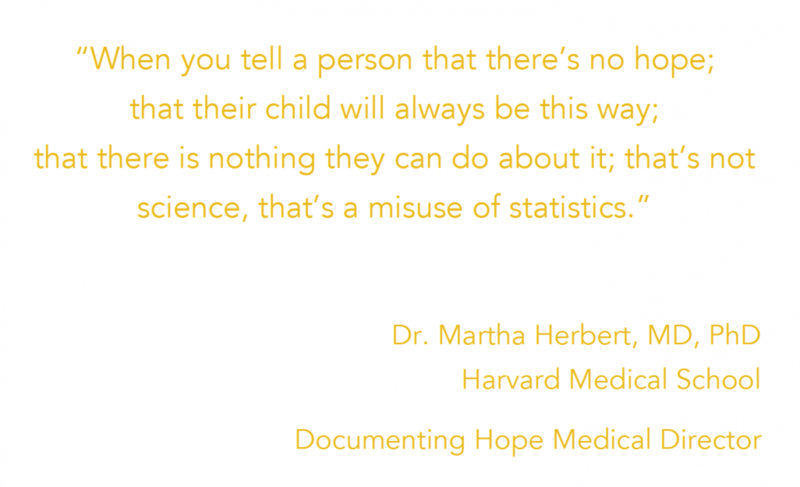 For all of us parents who believe that autism is medical, a comprehensive, intensive program that will answer that question and scientifically examine the results – and put the power back in our hands by training us to heal the children that we know better than anyone else. Learn more about the project at their website and donate, if you feel so inspired! I’m excited to spread the word about this project and guide more parents to this resource as it gets off the ground!